The AMS Casa program?s name originates from the Italian ?Casa de Bambini? ; a name Dr. Montessori originally gave children within the age group of 2 ? – 6. 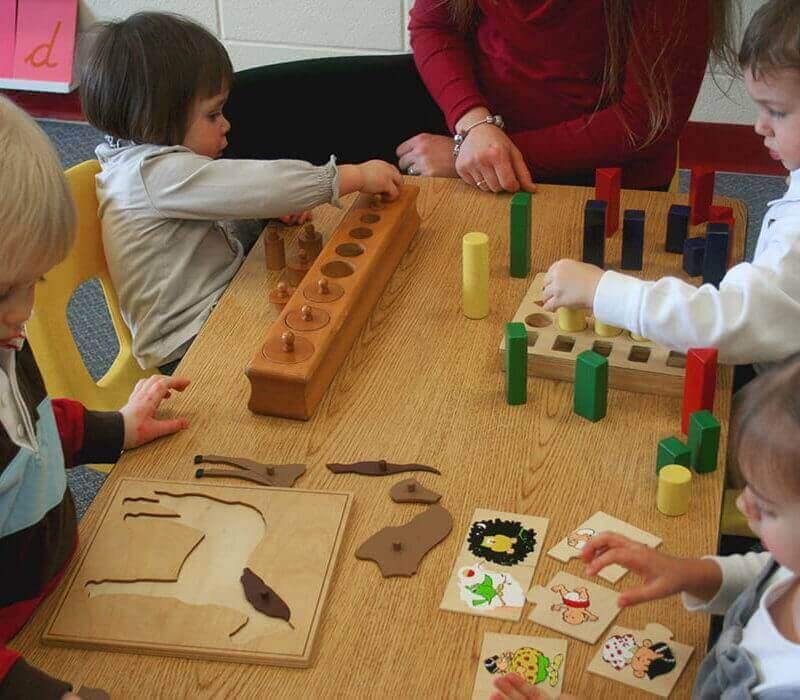 A Montessori school is a miniature society in which children live and work co-operatively. 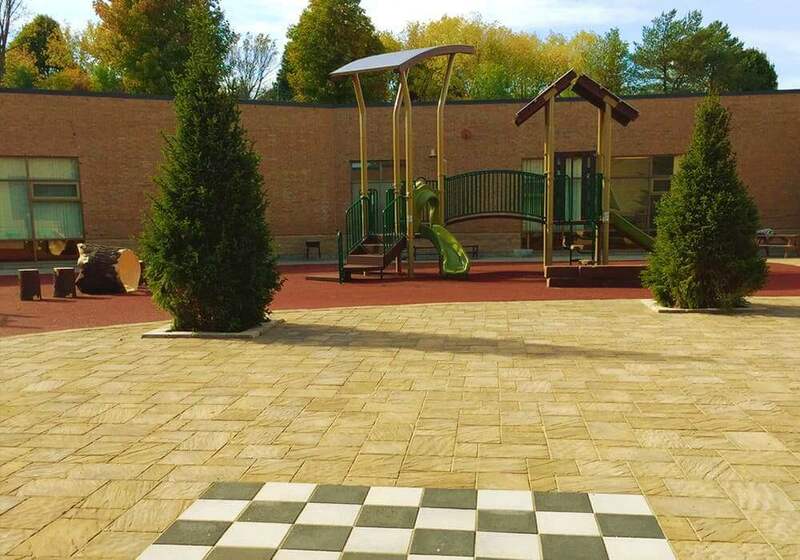 Aurora Montessori School is set up to facilitate this kind of development. An important factor in establishing a community feeling is having a three-year age span in the class. 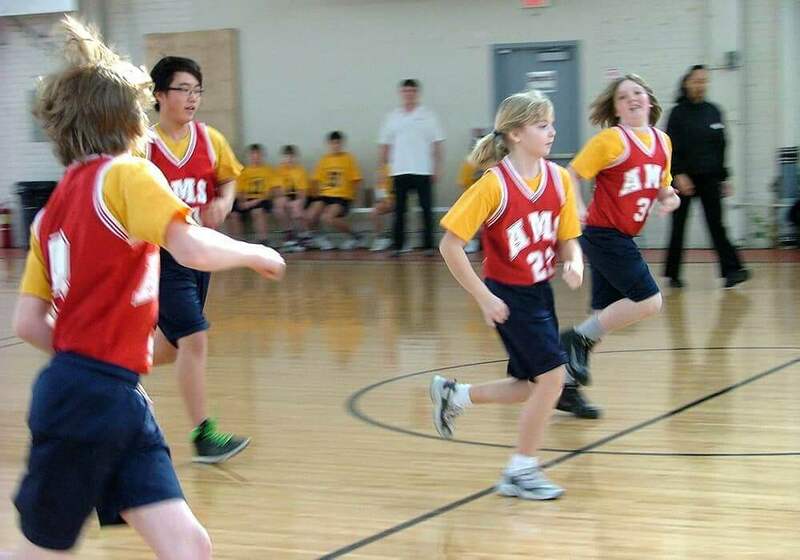 Since each student proceeds at his or her own pace, each is better able to enjoy his or her own accomplishments rather than comparing him or herself with the others in the class. 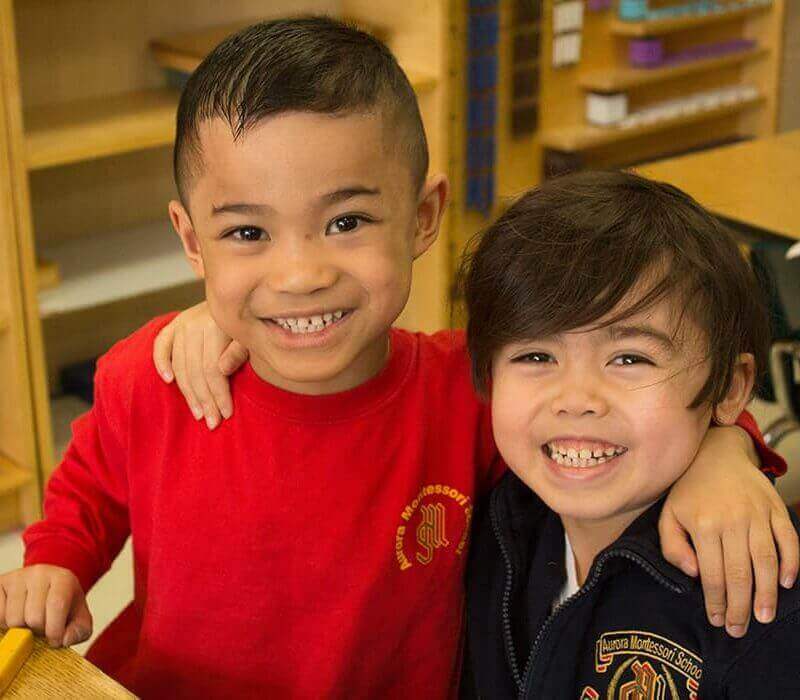 The aim of AMS is to create an environment in which children respect the rights of others and feel a responsibility to others, while respecting their own individuality. This will help to prepare the children to responsibly participate in society. 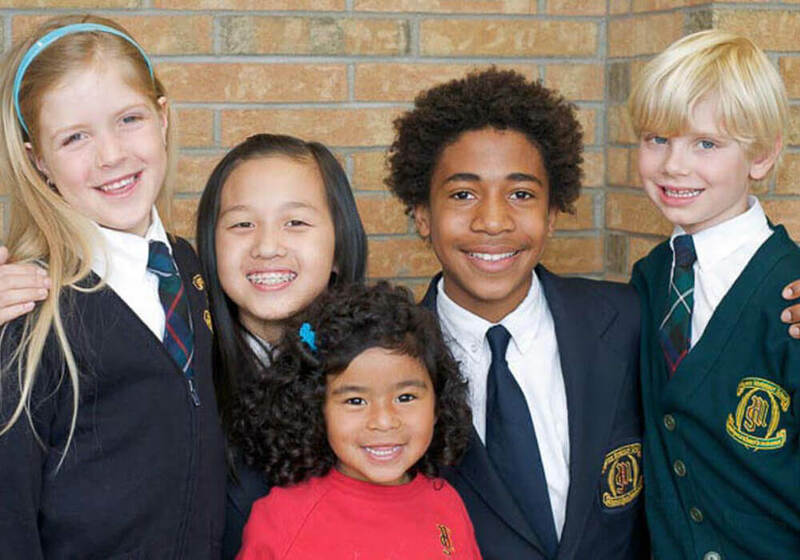 The Aurora Montessori School (AMS) has been offering excellence in education for 24 years for children 18 months to grade 8. 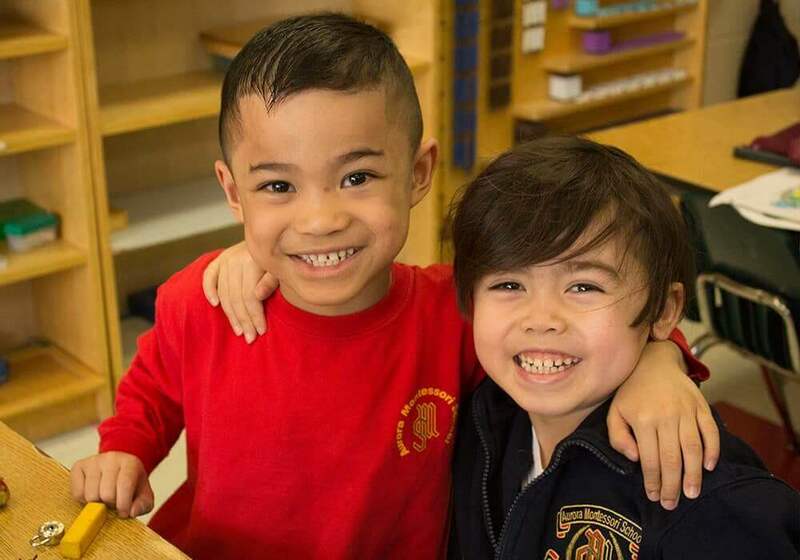 Our Staff understand and then educate children’s unique capabilities and human potential, producing responsible, self-directed learners and critical thinkers. To allow the student to become active in the process of learning. To assist the student in developing a strong character and a natural love of learning that will endure throughout his or her life. To assist the student in developing adaptability and creativity in learning and living. To assist the student in acquiring the fundamental skills needed to communicate through words, numbers and symbols. To allow the student to enjoy and gain satisfaction from sharing various concepts through different forms of artistic expression. Students are encouraged to choose their work independently and with complete freedom of choice, within limits. The autodidactic, self-correcting materials encourage independence and build the children?s self-esteem and confidence. This will encourage students to become active participants in their family and society. 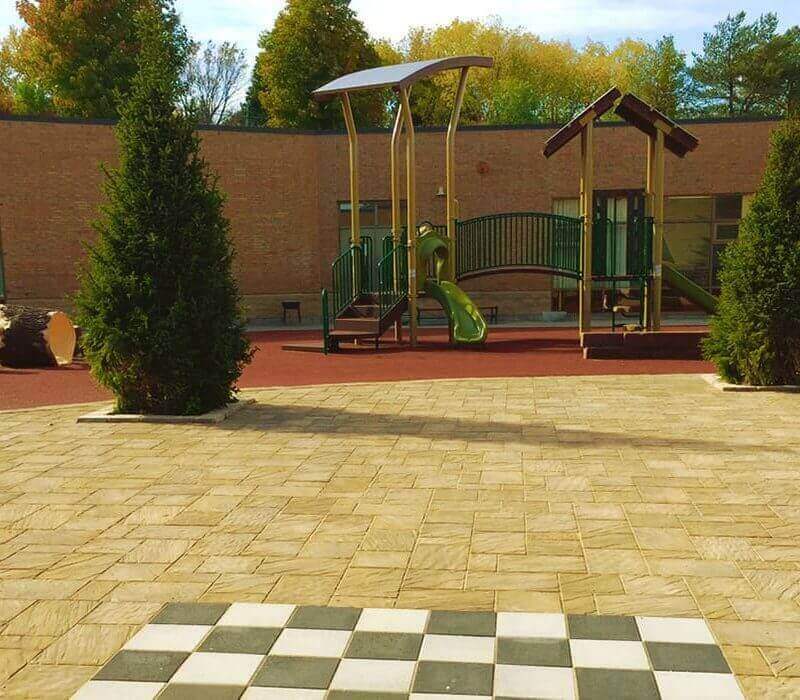 These materials relate to the care of self, and care of the indoor and outdoor environment. The exercises also enable children to develop independence, concentration, self-esteem, confidence, and coordination of movement. The sensorial materials provide the first introduction to the refinement of all senses, discrimination of size, height, width, and breadth dimensions, as well as geometric shapes. 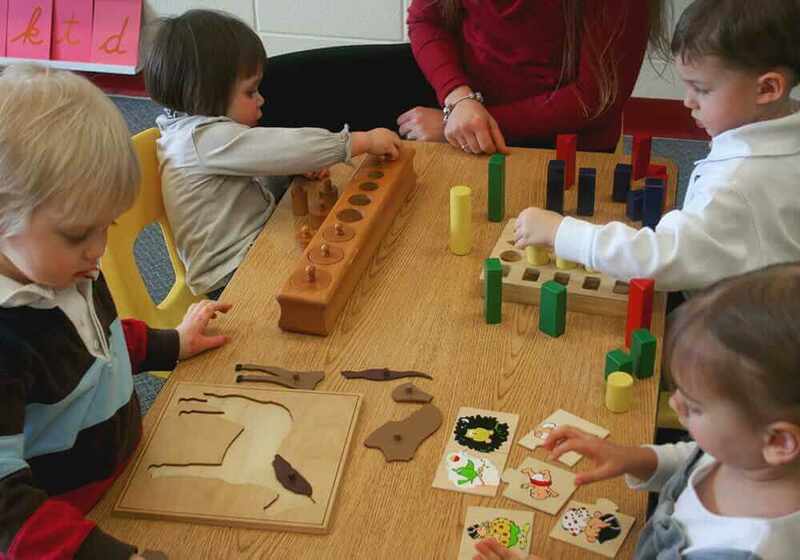 Manipulative materials and exercises in this area will help the child to grasp the concepts of numeration, place value, addition, subtraction, multiplication, division and introduce the decimal system. There is verbal integration in all subject areas for the total development of language from listening to stories, verbally expressing experiences, and creative writing. The students learn to read by developing awareness of sound isolation, and through the use of the Montessori phonetic language system. Children at the Casa level are very interested in learning about the world that they live in. The Montessori classroom provides information encompassing the subject of botany, science, zoology, geography, history and art. 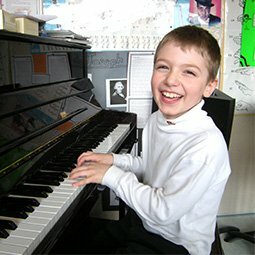 The music program is designed to develop a response to rhythm, tempo, and melodic direction through activities such as group and individual singing, playing of rhythm instruments and dance. 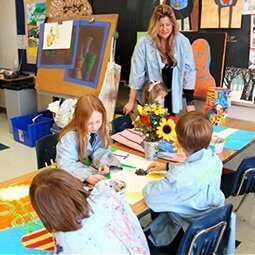 The art program is integrated into the regular Montessori exercises. The students learn basic art skills?such as cutting with scissors and pasting?while exploring different textures and materials. Each month, the children learn about a famous artist. The children are introduced to the French language through songs, games, and other fun and interactive activities. In this way, students become aware of a new language and are excited to practice speaking it. 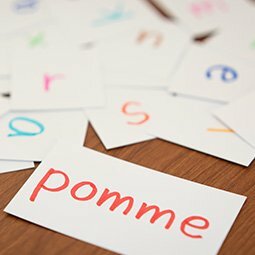 New vocabulary is taught using the actual object, which is then touched and felt, and by performing the action described. 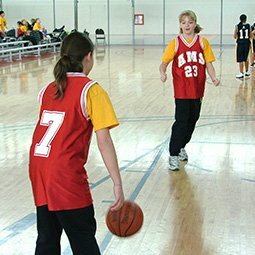 Students enjoy physical education in our multi-purpose gymnasium and outdoor activities in our beautifully equipped playground. 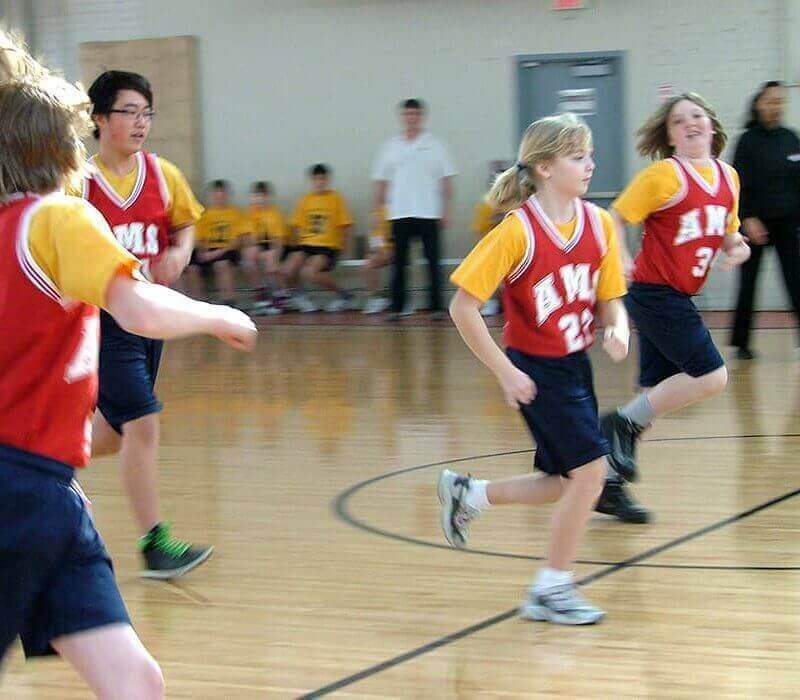 Students are given the opportunity to demonstrate their achievements in motor development, inhibition of movement and introduction to organized games. 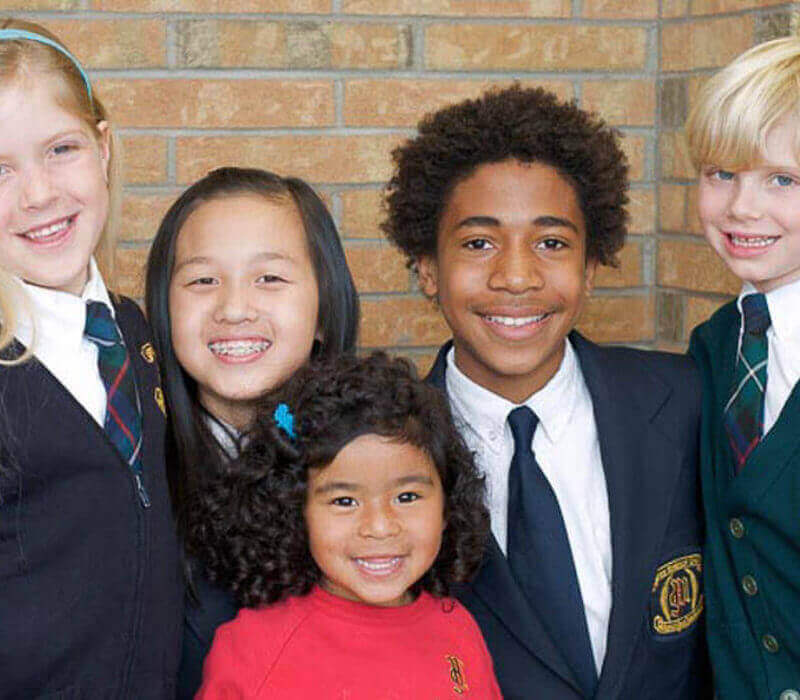 For more information about our curriculum, review our facilities, or book a tour today.